Where is the Card Accepted? The card is recognised at all CredAble organisations but the benefits of the card will vary from place to place. For some providers, it might give you a discount or a special offer, for others it might be accepted as evidence in order to access a free pa ticket for example. What is a 'Named and Famed' listing? On some of our listings, you will see that a venue or service is “Named and Famed”. This means that other cardholders have told us that they have been able to use their cards with this service. Information provided in this listing comes from the card holder and also is sourced directly from for the venues publicly available information, not from the service or venue directly. This is not a guarantee of any set service or policy this organisation might have. Why should I have to pay more because I’m disabled!? All providers should have to have alternative ways of making their service accessible to you that cost you £0.00 – if they don’t – let us know and we will correct them on this. The service we provide is to make it quicker and easier for you to speak to many providers via one application IF you choose to purchase one. We charge for this because this is a service which costs us money to provide. If your needs change you can ask to be reassessed at any time. To reissue a new card we need to charge a £5 admin fee. Why should I have to provide evidence? It’s only appropriate for certain types of provider to ask for evidence – particularly those offering things like free Essential Companion tickets, concessions or discounts which you access remotely i.e. over the phone or internet. The fact is that people, disabled and non-disabled have in the past exploited some organisations reasonable adjustments – this ultimately means that disabled people with genuine needs suffer in the long run. Are there age limits to the card? No – none at all. We just have to see that you have an impairment that results in needs in line with the Equality Act. This is just as relevant for children as it is for adults. Providers policies on things like free tickets may vary on age though. For older people this is important too as you may not think of yourself as a ‘disabled person’ but may have medical conditions that still have an impact on you. Who makes a decision on my card? The scheme is run by Nimbus: Disability Consultancy. Nimbus is an organisation of disabled people which specialises in the legislation behind The Equality Act and other legislation like Welfare Benefits. Do Cinemas accept the Access Card? We cannot currently guarantee that high street Cinema chains will accept your Access Card. We have had conversations with a number of local branches of the big name retailers, some have said they will accept any form of supporting information, others have said that free companion tickets will only be released to holder of a CEA Card. We have also approached the Cinema Exhibitors Association themselves for guidance about the validity of our Scheme to access free companion tickets and are still awaiting a response. Unless you see a cinema listed explicitly on our map it would be best to seek guidance from your particular chain before visiting. 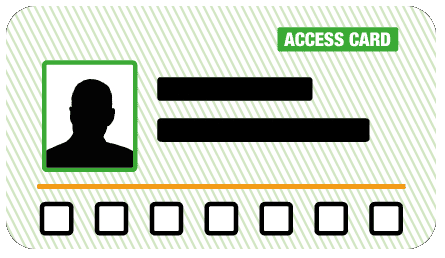 Remember that The Access Card denotes the support that you need in line with the Equality Act and does not need to be explicitly linked to a provider’s own policies. If you would like us to have a conversation with a particular cinema on your behalf please let us know. Will I have to be reassessed when my card is renewed? All cards will be renewed at least every 3 years but we may make decisions about reassessment on a different timescale. A good example would be if you submit evidence that very clearly states that you have a permanent impairment that will not vary for the rest of your life then we will not reassess you. If you have a temporary impairment we may decide that your award will only last 1 year. In this case there is no additional charge for reassessments falling within the 3 year period. Basic listings are free as long as you are able to submit an offer or something of benefit to Access Card holders. You can also be flagged as a CredAble Provider and there are different options available. Visit www.nimbusdisability.com/quality-mark for more information or give us a call on 01332 404023. I ordered my card weeks ago and still don't have it? If you’ve not received your card within a reasonable time frame you need to make sure that you get in touch with us as soon as possible as either we’re still waiting for information from you or there’s been a problem with delivery.